SWA are working with Parliament Hill and William Ellis secondary schools in Highgate to implement an on-going creative renewal programme to revitalise established classrooms. 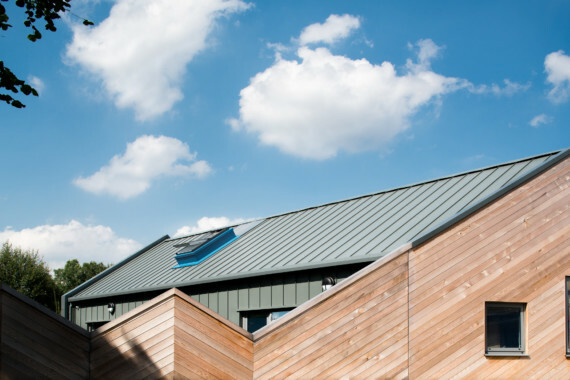 Our work coincides with the construction of new accommodation to the rear of the building, and a new sixth form building which fronts onto Highgate Road. 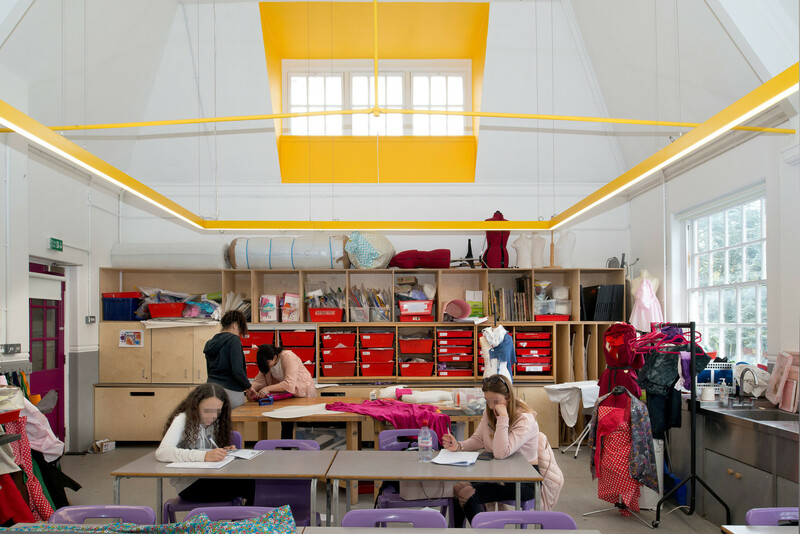 The first package of work to be completed is the Art & Design Department at Parliament Hill School. The entire second floor was refurbished to improve and provide facilities for art, design, photography, and textiles. We worked with the school to develop an aesthetic approach, which was based on the school’s colour scheme, and included the restoration of richly colourful original tiling and elegant oak parquet flooring. 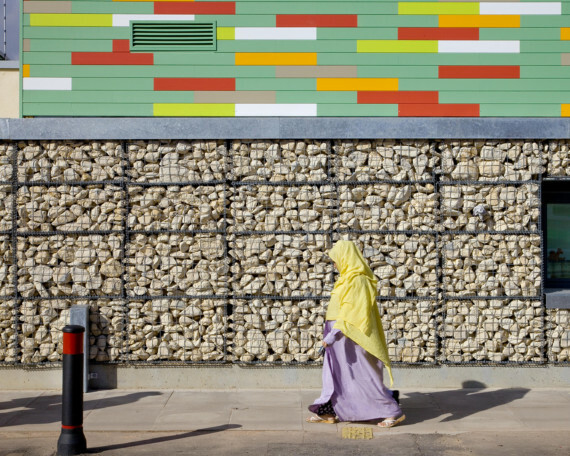 Bright colours are used to highlight existing architectural features and bring new vibrancy to the spaces. 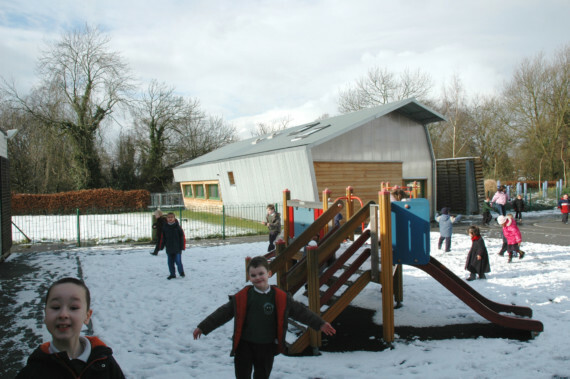 We worked closely with the school to ensure the changes fully reflected their pedagogy and teaching requirements. 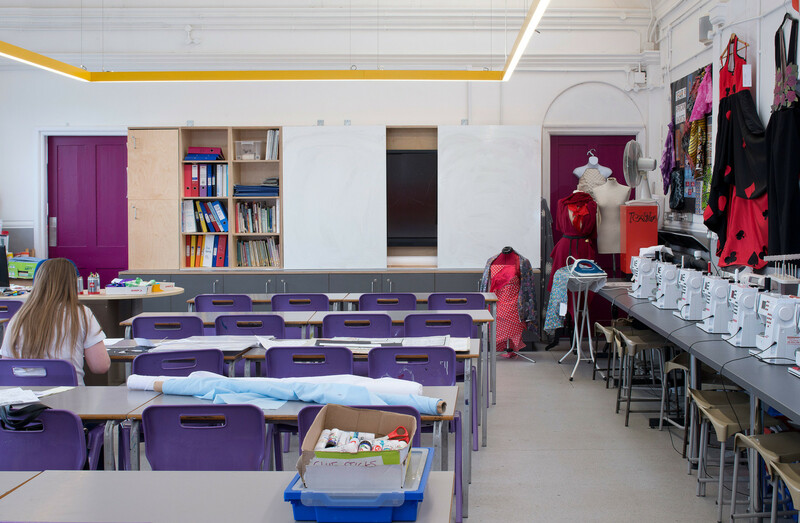 We designed new teaching walls, made of natural and robust plywood, to facilitate the storage of teaching materials along with the presentation and creation of art and design work. 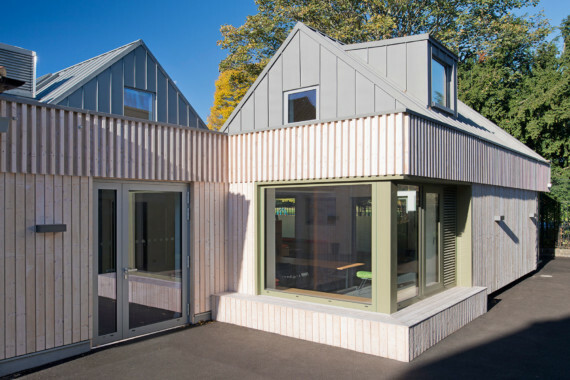 We restored the functionality of the various existing windows, employing environmental modelling software to design optimal ventilation, which is fully controllable by teachers and students. 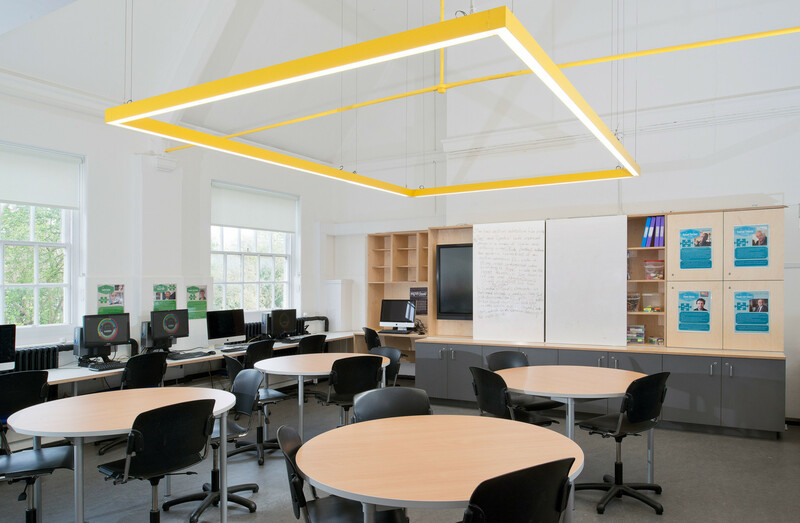 Graceful new lighting compositions create ideal light levels and bring a dynamic and exciting element to the classrooms. 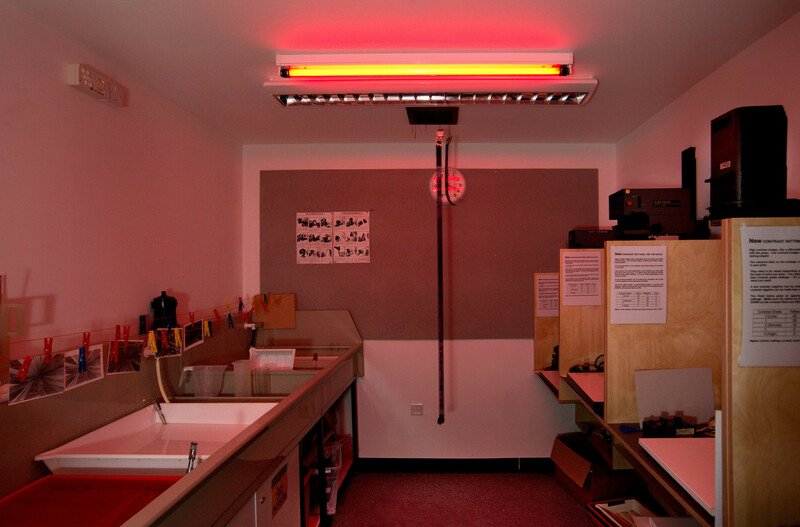 We also created a new darkroom for the photography department. 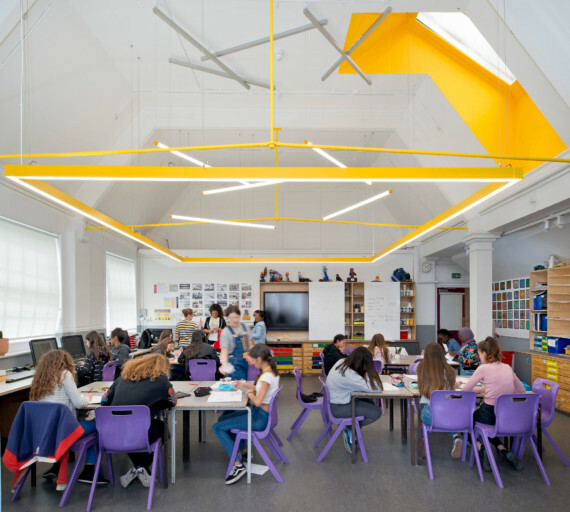 The programme of work is ongoing and includes new music facilities in Parliament Hill School, and over at the adjacent William Ellis School, light touch tempered canopies will transform the ventilation strategy in the main hall, and provide new circulation and dwelling spaces for staff and pupils.